Boo! Don’t be scared… instead show your Halloween spirit with this cute and uniquely festive and handmade felt floral headband. 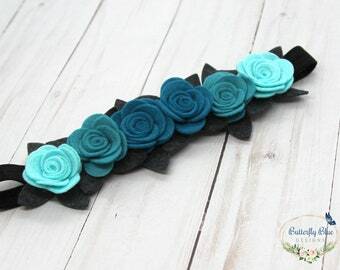 What makes this headband unique is the black sparkly felt bat that looks ready to take flight. But don’t be afraid, it is securely tethered to the headband and surrounded by a beautiful purple flower with a bling-tastic silver glitter center. It is a perfect accent or make it the center piece of your Halloween costume. 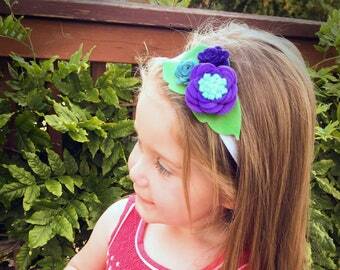 The entire headband ornament is 6-inches long x 4-inches wide. The bat is 5-inches long and the center flower is 3.5-inches in diameter. The purple flower center-piece is accented with 2 tiny soft yellow rose buds and a small bright orange rose. 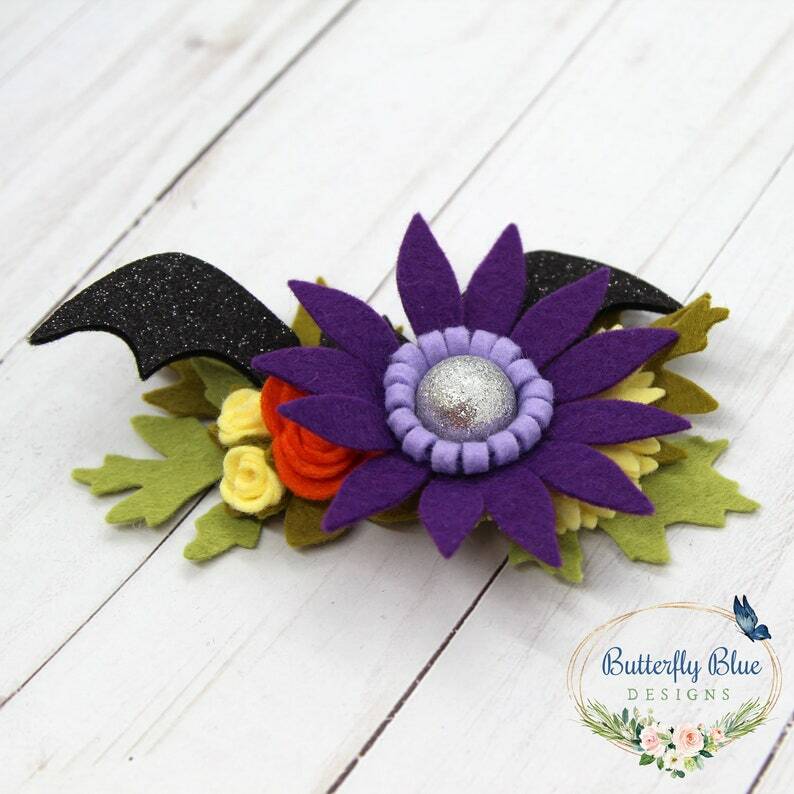 The bat and flowers are layered on a bed of 4 goolish leaves that make the base of the headband ornament. 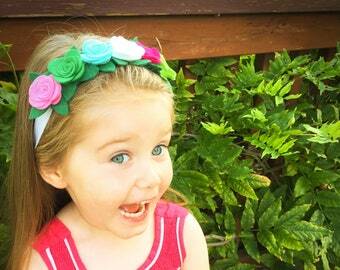 The headband elastic is soft and stretchy for a comfortable fit and is backed with felt to be gentle on little heads!